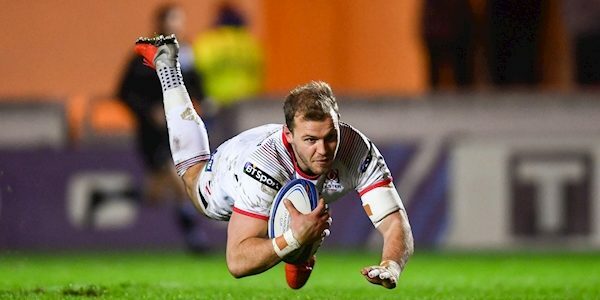 Ulster and Ireland centre Will Addison is set to miss the rest of the season with a back injury. The 26-year-old picked up the injury ahead of the Six Nations. The utility back, who can play at full-back and the wing as well as in the centre, signed for Ulster in 2018 and impressed early in the season. Addison made his Ireland debut in the November test series against Italy. The former Sale player will now be in a race to be fit for the Rugby World Cup in Septemeber. Ireland’s first game takes place on September 22 with four warm-up games coming before that. Italy come to the Aviva Stadium on August 10 followed by a trip to Twickenham to play England on August 24. A double-header against Six Nations champions Wales are to be the final two games for Ireland ahead of the World Cup. 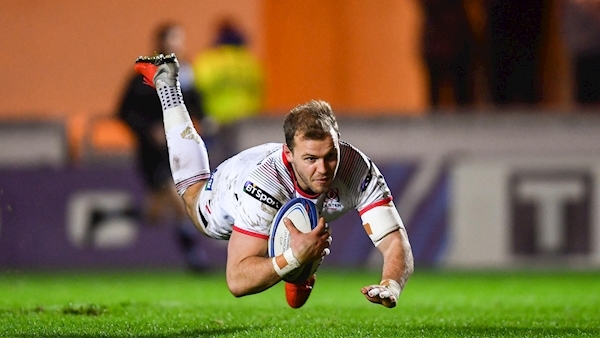 Ulster also confirmed that centre Stuart McCloskey is following return to play protocols after suffering a concussion against Glasgow Warriors.